Dr. Sharon Morrissey is leading initiatives to close the achievement gap and increase student completion in the Virginia Community College System where she serves as the Vice Chancellor for Academic Services and Research. Reflecting on her doctoral studies in NC State’s College of Education, Dr. Morrissey explains, “Up to the time I enrolled in the Higher Education Administration program, my educational preparation had been as a discipline specialist and classroom instructor. This program opened my eyes and my mind to a new level of community college service, and I gained many insights, valuable skills, and abilities during my matriculation. I have been fortunate that I was prepared for each advancement in my career path by the breadth and depth of my education. When I enrolled, I was already in a mid-level management role in North Carolina’s community colleges, and I probably would have stayed at that level if not for the impetus and experience gained at NC State.” She recalls preparing for leadership through active learning such as role playing college leaders to solve real problems that were presented by her instructors from their own experience. 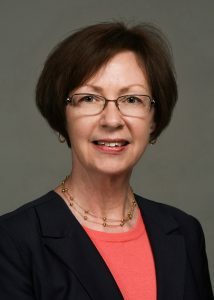 Prior to accepting her appointment with the Virginia Community Colleges in 2015, Dr. Morrissey served as the chief academic officer for the NC Community College System. She began her career teaching English as faculty and rose through the ranks to hold two vice presidencies and a presidency.